The dragons of Enzada are ancient, and even the oldest legends speak of a time when they wandered fee, before the Inhuridan Sorcerers sought to tame them and turn the dragons in to beasts of war, fighters for the ancient arenas. 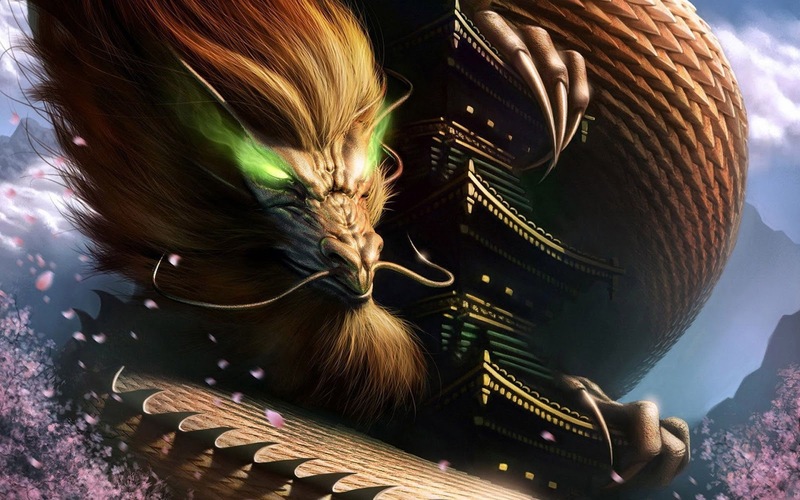 Most dragons are intelligent beings, though few can relate to the society of humanity. The beastly nature of dragons insures that they operate on a level of understanding better suited to the harsh realities of the wilds, and they eschew civilization and its trappings. 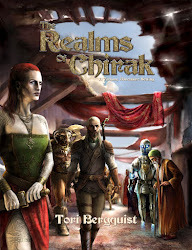 They have their own distinctive language, and while they are capable of learning the many human tongues, they lack the ability to speak anything other than their draconic speech and the language of the lizardfolk. Dragons of Enzada come in two varieties, being the wyrms, which are wingless beasts of the earth, and the drakes, which are the airborne predators of the sky, The drakes are more gracile and similar to birds, though some can grow as large as the legendary rocs of the Vanzarik Sea. The wyrms can grow much larger and are some become legendary for their size and ferocity. Dragons are not suitable player characters, but make excellent foes. Dragons seek allies from among the many beasts and monsters of the wild, only occasionally associating with humanoids (usually lizardfolk). Many ancient dragons dwell in the ruins of the deep wilds, usually claiming the remains of some forgotten Inhuridan city where they once were held as thralls and gladiators; they prize these ruins as proof of their victory over their long-dead captors. The hantu demons of Enzada alternately claim to come from the Outer Darkness or the Spaces Between (the so-called In-Between as it is more commonly known to mortals), but their true origins are a mystery. 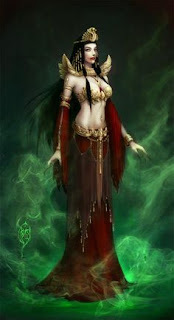 Some demons claim fealty to the dreadful gods Utalos or the Grasping Hand, while others revere Miradaka or the Chimera. All demons speak of a domain, a realm in some unfathomed abyss beyond so terrible that even they seek to escape it. Of those few scholars who have interviewed demons, it is recorded that the strange race claims to be escaping a much more terrifying threat, something which devoured their native realm, leaving the demons nothing more than disembodied spirits who must seek mortal flesh for possession. Their once great world, now a fathomless abyss, waqs forever destroyed by this terrible, overwhelming entity. Enzadan demons need to possess a being before they can manifest in the flesh. Once they have possessed a mortal, they may sculpt its flesh into an image approximating the guise of their own natural form. The beast in this form can be slain or driven from the host, although the host rarely survives such an experience...sane or alive. Demons are very difficult to kill, however, for they can simply appear in spirit form and take possession of another host. For this reason, demon hunters are a feared but noble profession in Enzada, being those sorcerers and shamans of sufficient talent to slay the spirit body of the demon, going into the Spaces Between if necessary to get the job done. 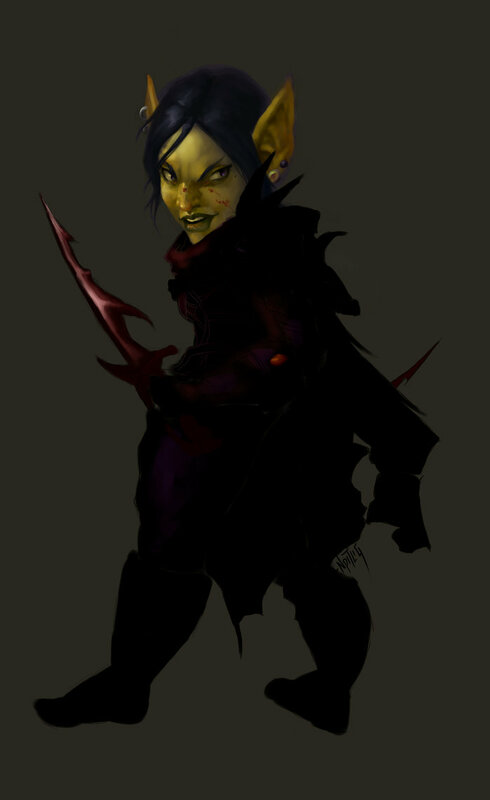 Some demon hunters of great renown are even known to be tieflings, who use their heritage to gain an edge against their kindred. There is an extensive culture of giantkin in the heartland of the Hub of Etyri. Giants are rare creatures even so, and some accuse them of being distantly related to the spirits of the In-Between, given that they have a unique elemental aspect, but the giants seem uninterested in elaborating on their nature. The wilderlands include whole tribes of beastkin, said to have been humans who went feral or mad and eventually degenerated back to the form of beastlike beings. Most of the famous beastkin come from Waladar’s deep wilds and the Barren Lands. Beastkin are never given any status in civilized lands, regarded as lawless beings. Draconians do not exist as a race in the world of Enzada, and are instead the product of matings between the dragonkin and captive humanoids. As such, while draconians do and have existed, they have a near legendary status, and are often prized as captive thralls by nobles in the Hub of Etyri for their unique natures. (see Distant Worlds for details on what the dragonmen look like). The dhampir are most famous for being an ancient breed from the region of Nepar, cursed by an ancient dalliance with the madness of the enigmatic vampires of that land. They otherwise exist as described in Enzada, and can be found abroad; Enazadan vampires are not harmed by sunlight, and so can walk among men (but are completely mortal and without their abilities by day, detectable only for the faint odor of undeath they tend to exude if they fail to perfume themselves). Because Enzadan vampires are a weird mix of spirit whisps animating corpses and being driven mad in the process, they still manage to reinvigorate the body of their host enough to procreate, and so have the dhampir come to exist. Most dhampir cannot breed, being infertile, but the Nepari tribes seem to have overcome this limitation somehow. In Enzada, sentient undead usually manifest as agents of the death gods, especially Miradaka and the Grasping Claw, who use them as agents to hunt down and destroy those who seek to escape their grasp. Mohrg, wights, mummies, ghosts and some other undead appear in Enzada in this manner. Almost all undead tend to retain memories of their living selves, but something about the foreboding afterworld (or the In-Between) seems to drive them mad and simultaneously instill an insatiable hatred and envy of the living within them (even those undead who were once of good nature). Gnomes do actually exist in remote corners of the world, quizzical beings of nature that congregate in small communities and are usually mistaken for Uthitin and Duwende. Gnomes are little understood as a race, but are in fact descended from another breed of spirit that has escaped permanently into the mortal world and woven bodies of flesh for themselves. The process and events of how this transpired have been lost to time, but it is suggestive that the concept of gnomes as mischievous forest spirits is not entirely unwarranted. Like most spirits or spirit-descended beings, gnomes lack a sense of moral understanding about right and wrong. The Kandathra portend to have been the oldest sentient species of the world long before humanity rose from its simian ancestry, The Kandathra believe they were born from a dream out of the mind of the Chimera, which they revere as their creator figure. 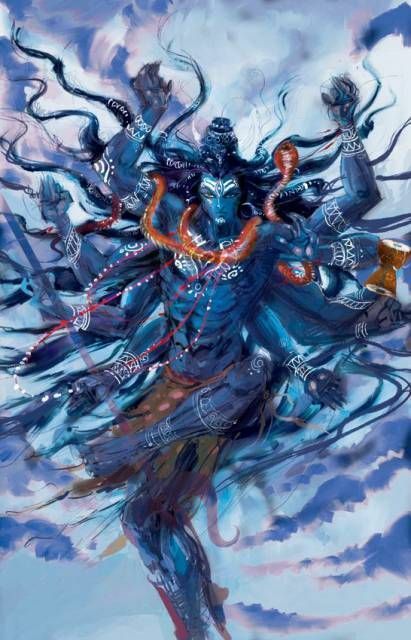 Kandathra are found all over the world, and they are a regular menace to most of humanity. Some lizardfolk are distinctively humanoid, with only a tail, scales and serpentine or lizardlike head to distinguish their bestial nature. Others are more beastly in nature, looking closer to hunched walking predatory reptiles. The most notorious of the Kandathra are the runners, fast-loving therapods with keen natural instincts and saurian predatory natures, a danger even to the more humanoid lizardfolk. Traits: Conventional lizardfolk of the most humanoid variety are suitable as player characters. They are typically six to seven feet in height and have distinct crocodillian heads, long tails, heavy green to dusky black scales and heavy claws. Racial Skills: proficiency in Stealth or survival. Keen Sense of Smell: Kandathra gain a new sense called Scent, which allows them to identify and locate creatures by smell alone in a 50’ radius. 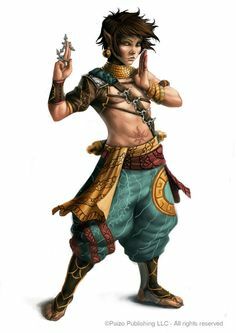 Kandathra can learn monstrous feats that aid them in the use of their natural attacks although they do not start with any such feats. Language Limitations: Kandathra have difficulty speaking non-reptillian languages and understanding mammalian visual queues. Kandathra get disadvantage on insight, persuasion and performance skills related to foreign languages and cultures. They also gain disadvantage when attempting to be understood when speaking humanoid languages other than their native Kandathric, contemporary draconic and the lost dragon tongues, or when attempting skills that require use of other languages. Therapod or Anthropomorph: Choose one when determining subtype. Therapods gain and additional +1 to STR (for a total of +2) and a +10’ movement bonus and advantage on athletics checks when long jumping. Anthropomorphs gain +1 to Dex, a Swim speed of 40’ and a natural armor class of 12 (with no Dex limit) due to thick scales. This armor bonus does not stack with other worn armor but does stack with dexterity and magical armor modifiers. The stout short race of halflings called the Uthitin are but one of a number of short folk who dwell thoughout the world of Enzada. 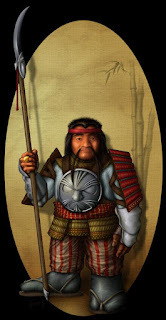 Most half-folk are known for being only about half the height of normal men, but the uthitin (literally “wily and short” in Selendari) are a slimmer and more gracile lot, while their stouter and hairier kin are called the duwende (a word for “hairy dwarf mountain spirit” in the Vanzarik tongue). Physically Uthitin are equivalent to halflings , while duwende are equivalent to dwarves. They are both stouter breeds of human, however, and it is perfectly feasible for normal men and women to breed with the shorter folk. The chief selection advantage is based on the insular cultures of the uthitin and duwende, who disdain marriage with taller outsiders and in many cases make such relations an active taboo. Many stories have arisen about the half-folk, such as a belief that they are known cannibals, imbued with whisps, and stranger. Most regular men assume that the half-folk are witches and warlocks by nature, though the reality is far removed from this superstition, and the half-folk often believe the same of normal men. Traits: most Uthitin are dark of skin and average 3 feet in height. Most Duwende are dark of skin and extremely hirsute, averaging 4 feet in height. Attributes: uthitin and their kind are equivalent to halflings, and duwende are directly equivalent to dwarves. Uthitin Statistics: Uthitin use Halfling stats from the PHB. Dwuende Statistics: the duwende use dwarf statistics in the PHB. Sometimes also called dev, these lesser spirits in flesh are said to have been homunculi crafted as servants for the ancient empire of Inhuridan. When the empire collapsed, those homunculi who could forage for themselves bonded together with others of their kind to form a crude society. They are fearful of light and avoid the sun, as it causes a terrible pain against both skin and eyes (a trait the ancient sorcerers of the empire bred for to better control their house servants). Today, devs are a vile and unpleasant race known for its penchant for devouring other humanoids and engaging in midnight raids against humans. They are especially reviled by the half-folk and egleppi. Traits: short, pale humanoids with luminous yellow eyes and wide maws of sharpened teeth. Devs were born with a mouth full of stubby molars, so they spend their life sharpening their teeth to devour meat. 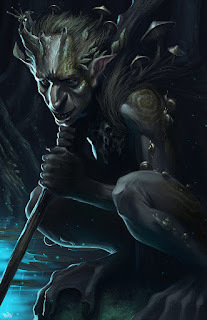 Dev Statistics: Dev are physiologically identical to goblins from the core rules. The ancient Sky Builders were fascinated with the primitive life of Enzada, and early in their history they seem to have migrated to this world with the intent of studying and altering that life to suit their needs. They developed a keen fascination for the serpentmen and kandathric races, which they treated like servants and children. They regarded the cro-magnon humans they encountered like amusing curiosities, allowing them to worship the Sky Builders as gods. The history of the Sky Builders is difficult to piece together, but it is believed that tens of thousands of years before the rise of the Inhuridan Empire and the dominance of the Daharesh the Sky Builders passed into memory. No one truly understands why, though the Scholar-Cults of the Serpent Men of Gaashk claim that their ancestors were the Sky Builders, and not mere pets. The truth of this is unknown to most, though the few scholars to dedicate their lives to the study of Sky Builder relics and ruins have found ample evidence to the contrary. The hidden history of the Sky Builders is elaborate: they arrived on Enzada more than twenty million years ago, and appeared to be an alien race of tall blue skinned six-fingered humanoids with vaguely insectoid eyes. They were versed in technomancy and planar lore, and used their legendary Sky Cities to traverse space and time. They may or may not have been following in the wake of the great “tunneling” through reality that was crafted by the enigmatic wanderings of the “star god” called Drod. Why they took an interest in Enzada is unclear, but they quickly set up shop. In the early days it was they sky cities, but as time went on they built great cities and temples on the ground, many of which can still be found, sometimes remarkably intact. The immense buried obsidian pyramids of Waladar are famous, for example, especially as all of the pyramids are hundreds of feet tall yet are completely buried beneath the earth in vast plains. How they came to be buried, be it catastrophe, natural processes or the wrath of the gods is unknown to this date. A few scholars even suggest that there is no homogeneity beyond language in these ancient complexes….that indeed, the Sky Builders were not a single phenomenon but an ongoing wave of “migrations” over time. No one can say for sure. Of those few complexes that still exist and can be explored, the language is always of the same script, though the subtleties of the dialect remain difficult to translate. Thanks to the longevity of the scholarly tradition of Gaashk, the “rosetta stone” of the Sky Builder Script comes from the serpent man language, and it has also been translated to draconic and Kandathric. These translations were well-circulated in the era of the Inhuridan Empire, and so the language of this ancient people is well known among linguists and scholars in the Hub of Etyri region. One influential but secret complex is the buried remnants of an old Sky Builder flying city, located on the northern end of the Isle of Syrhaba. Along the northern volcanic expanse rests a monastery dedicated to Elinzada, which has stood for three thousand years as a place of sanctuary and refuge for pilgrims and students of the ancient goddess of pacifism and healing. There are actually two mysterious complexes beneath this monastery, however, both buried in successive ancient waves of volcanic lava, entombed forever. The first tomb complex is a genuine tomb, that of an ancient “king of kings” of the Serpent Men from nearly seventy thousand years ago. This complex was built as a fabulous temple using ancient technomantic sorcery that the serpent men of the lost empire of Hazik once had mastered….allegedly because they were the true descendants of the Sky Builders, but in reality because by this era the serpent men had long since usurped control from their old masters and were spiraling into a prolonged period of decadence and decay. 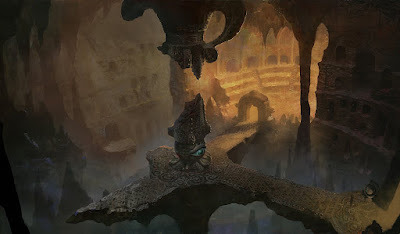 The tomb complex was built to contain the undying spirit of some of the most powerful necromancers and sorcerers of old Hazik. For eons afterward the tomb lay undisturbed until a much later age, and it is known that avarice and a lust for power led some serpent men to seek out the remains of their most powerful ancestors and steal them away. This led to the tunneling and rediscovery of the lost tomb. It is unknown if anyone after the collapse of Old Hazik remembered the tomb, but no mention is ever found in old Inhuridan records, and the Monastery of Elinzada did not appear to have been built here because of the tomb, but rather the deeper sky city beneath the tomb, in an even older layer of basalt. Accidental discovery of the tomb happened within a century or two of the monastery’s founding, however, and the monks of that lost era quickly hid their discovery when they learned of the evil contained within. Much deeper than the tomb or the monastery, almost at and below sea level is the old sky city. This was actually some form of ship, as the relic illusionary servants of the complex will relate, and it settled on this spot in an unknown era from the time of the Sky Builders, powered by the original race, at a time before the uprising of the serpent men. It’s name was “Elindre Ha’zada,” which means “Theological Observation” in the Sky builder script. A very small number of scholars have noticed that the Selindari habit of compounding words could readily explain “Elinzada,” the name of the healing goddess, as being a compound of this sky builder title. It has greatly concerned more than a few of the monks in the monastery over the centuries. The fact that the name of the world, “Enzada” is also believed to be a compound of the Sky Builder word, “Endires Ha’zada,” which in turn means “World of Observation” is of even greater concern to a handful of enlightened but heretical scholars. In any case, the first monks to come to this place found an entrance to the buried complex after an earthquake, seen as a sign by their ancient goddess of the time, who was believed to be one other than Elinzada. Beyond the rift created by the quake they found the complex, and entered. It was many years before they fully understood what they had found, or at least understood it as best they could. They found the chamber of Elinzada herself, and the healing waters. They found the mysterious devices which channeled planar energies into the water, imbuing it with the spirit of the goddess, and discovered that that spirit would migrate into a mortal of choice to transfer her healing gift to the world outside. In the early years of the cult the monks would pick a bearer of the spirit, who would then go into the world to do good. They found that the bearer who perished while traveling lost the spirit, and they would have to brave the complex below to summon the spirit forth once more into a new host for the future. It was centuries before one enterprising monk realized that the healing waters were the key, and that a host who bathed in the waters could allow the spirit to transfer into another entity nearby; the water was the conduit to energizing the spirit of Elinzada. At first the monks moved the water to a pool in their own complex, and began a ritual that insured hosts for Elinzada always returned at the right time for a transfer. Eventually they learned how to enchant water to work in the right fashion, using a small amount of sacred water in larger pools to transform that water into the same substance. Thus did they create the holy pools of water for Elinzada in Huldreth, Uralhat and other Selindari cities. In the old days, the monks brought tribute to the ancient chamber of the goddess within the Sky Builder complex, but as the centuries wore on they brought less and less treasure, and when they learned how to replicate their own sacred water they eventually sought to conceal the complex and its entrance entirely save for a time of special need. The treasure brought to the temple in exchange for healing was ultimately brought to the temple now purely out of tradition; they knew not what the guardians of the complex did with it anymore. Today, the complex lies fallow but for two exceptions: the secret chamber of Elinzada still functions, and contains its ever-replenishing sacred water to the goddess. Here, the goddess can manifest once more if a proper ritual of sacrifice and devotion is offered, though the ritual by which this occurs is most strenuous to those who seek to bond with the spirit. Second, the complex contains a working “portal” or teleporting gate that opens up to three other locations in the Hub of Etyri region, plus four regions not of this world. One leads to a remnant of a powerful teleport gate now a mere decoration in the ruined city of Drath. One opens up to a lost Sky Builder complex buried beneath a mesa in the lands of Mazadran, and the third opens up along a remote stretch of Neparic coastland, in a region dominated by barbarous Kandathra. Tannagrath, a ruined city-complex that may have been a related species of being called “Prehunates” that existed contemporaneously with the Sky Builders. The ruins of Tannagrath are partially intact but were submerged first in earth and then water over countless eons; the portion that is intact is currently inhabited by a race of dark sorcerers called the Hamaki, and while they know how to reach the surface of their alien world, they are extremely Xenophobic. Fastlendar, an aquatic Sky Builder ruin deep beneath a vast and deep ocean. Traveling here without protective magic is instant death. The aquatic species on the other side are friendly, and can relay to foreign visitors that their world is called Hyskortius, a water world visible in the sky from Enzada as the famous “Shy Maiden” constellation. Gath, an ancient complex that appears to have been another species’ work entirely, which stole Sky Builder technology for their own. The haunted complex is on a vast chunk of stone floating in empty space, and it is in a vacuum. Undead riddle the asteroid, and few have been brave enough to piece together what it is or what it comes from. Visitors from Lingusia would realize that it was part of the “Haze” as they call it; visitors from Enzada would recognize it was being somewhere in the River of the Sky, a place mythically said to have been the cosmic river along which the original Sky Builders traveled to reach Enzada in the first place. In any case, a powerful evil, a being called Aodrath The Insane, stalks the asteroid of Gath and kills all who it can find, adding them to its undead army. Shekaresk, a frozen tundra inside which is buried another ancient Sky Builder ruin, this time a monument, which appears to have been the only such structure left on this world called Astrathon by the ancients. Shekaresk is reached by way of ancient ice caves cutting into the earth, and shamans of the local culture called the An’halaki know the way to from it. Exactly where Astrathon is in relation to Enzada in the sky is unknown. The Dragonkin Gar’Konimus, a mixed-breed dragon halfblood, has been using the artifact for countless centuries now. He is an ancient student of magic and planar explorer, but he found the mysteries of the Sky Gates as he calls them to be beyond fascinating. He has spent centuries now locating these gates and networking their passages. He once left the complex beneath the monastery to explore, and befriended the monks, though he did not have the heart to reveal to them that the complex was not the sacred temple of an ancient goddess seeking to impart her healing spirit, but in fact some sort of experimental complex which could generate potent “VEs” as the system calls them, which inhabit human forms and provide healing through technomancy. The VEs appear to Gar to be a form of complex spirit elemental, and they are all imbued with the personality and directive of the creator artifact in the complex, which of course goes by the name of Elinzada now. One concept I worked up both to emphasize how cosmopolitan Enzada's beliefs were, and how influential they could be was the concept of astrological signs which have a measurable impact on the daily lives of mortals. This manifests in the form of a patron deity who wants you to succeed, and an antagonist deity who wants you to fail....more on the pantheons soon! Enzadans believe strongly in the fates and the whims of the gods and spirits as having a direct impact on the destiny of a person. Each person in Enzada has a patron deity and an antagonist deity. Characters can roll at time of creation on the above chart. If the character rolls the same number twice then the character is “special” to that god in an unusual way. 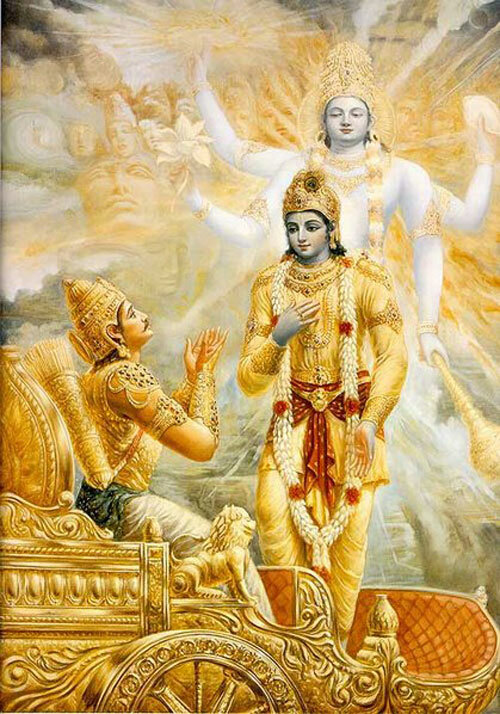 Story Benefit: in situations where the deity might have an influence either favorably or negatively, then events will tend to go for or against the character in some subtle (and occasionally not so subtle) fashion. Mechanical Benefit: A number of times per day equal to the character’s Charisma modifier (minimum 1), when the player feels that he is doing something that will benefit him he may call upon a favor from his patron; this typically calls for a DC 12 Will save, to demonstrate sufficient strength of character to gain the favor. The favor will typically grant advantage or a +2 bonus. If the attempt fails by 5 or more, then the antagonist god intervenes (usually with disadvantage or a -2 penalty). Inspiration: When a character engages in an action that is especially compelling (i.e. it either provokes the antagonist deity or pleases the patron deity) he may gain inspiration immediately. This list is ever expanding, but what follows are a sample from which to choose patron and antagonist deities that are not the principle gods of the Hub (see the earlier chart). Note that while each of the principle deities has a constellation of stars dedicated to them, each of the following gods has only a single star in their name (although some deities on this list once had one or more constellations to claim in eras past, when they were more important). First, make sure everyone has multiple PCs ready. Keep the extras in cold sleep as "reserves" just in case! As PCs are depleted, they can go to the back cold berth chamber and thaw out reinforcements. CORE SETTING: set the game in the early 22nd century and ditch the whole Imperium setting, Traveller aliens, all that. You can roll the timeline forward and mirror the film universe. Although it is popular to use Welyand Corp. (later Weyland-Yutani) as the big bad corporation, there are other corporations out there sending colonists and miners into space (Sevastopol, for example). TECH LEVEL: In the early 22nd century the upper limit of technology is at TL 10 with some experimental and rare TL 11. By the late 22nd century TL 11 is becoming more common with rare TL 12 tech available (the time of Aliens). By the 25th century (the era of Alien: Resurrection and beyond) TL 13 has become normal, but TL 14 remains mostly theoretical. Alien technology, such as from the engineers, suggest they achieved TL 16 in bioengineering, but may have been lower tech (as low as TL 10 or less) with relic high tech remnants in use by the time of the colony (or homeworld?) destroyed in A:C. This is up for interpretation, obviously. The actual xenoforms, of course, has no TL. ANDROIDS: Androids ought to be a single option for one random PC. His stats should be engineered at a cool UPP of CAAAA5 with either a selection of 6 pre-programmed rank zero skills followed by a career, or a selection of 6 pre-programmed rank 0 skills, 4 rank 1 skills, 2 rank 2 skills and 2 rank 3 skills (but with no career; this is his first mission). Androids are not able to heal without some mechanical assistance, but have internal routines (nanites?) which will sustain healing at the rate a human does, or maybe slightly faster under certain conditions. Unlike a human, dismemberment doesn't kill an android, but when an android reaches 0 in two physical stats it is physically impaired but a INT (10+) check means it is still able to speak and reason. It is destroyed (but maybe not beyond repair) if all hits are reduced to zero. Androids have to adhere to a code of conduct, but they can learn new skills. Once an android is designed, it is possibly forced in to a career of choice during which it can acquire new skills. FTL TRAVEL: Jump drive in the Alien Universe takes 1D6 months per Jump, and can only get up to Jump 2 with extremely expensive drives such as on the Prometheus. By the era of Aliens Jump 3 may be feasible and down to 1 month of travel per jump. By the era of Alien: Resurrection Jump 6 and 1 weeks' travel times per jump may be feasible. These are not the carefully calibrated rules of a obsessive Alien nut, just the rough guidelines of a regularly obsessed Alien junkie. XENOMORPHS: The alien xenomorphs are tough but can die. Assume they have about 8 points of armor with an average UPP of DCD500; Melee (natural) 3, Recon 3, Stealth 3. They deal 1D+STR Mod with claws but have AP 4 with a strike and their tail does 1/2D+STR mod but no piercing (unless you think the AvP movies are canon). Their double-jaw strike is tough: it deals 2D+STR Mod and is AP 8! It can smash through glass designed to hold tight in the vacuum of space. Xenomorphs sustain half damage from all heat sources that deal damage and are Armor 8 across their body. They sustain half damage against ordinary projectiles (slug throwers) but can take normal damage from energy weapons. They take full damage from explosive projectiles (minus normal Armor). These damage rules will help reflect that they can take a lot of damage from slug throwers (see Alien: Covenant and Alien: Isolation for examples) while the colonial marines were pretty effective with their plasma rifles, flamers and grenades. Dealing damage to an alien is risky: if you're at point blank range a DEX (10+) roll is needed to avoid getting splash damage from their molecular acid blood. If this hits, it ignores/destroys all armor dealing 1D6 damage per round for 1D6 rounds before burning out (add negative effect per round to damage!) If you are at close range the check is DEX (8+). Aliens likely also have regenerative properties: they seem to sustain a lot of damage before actually dying, and while we've never seen one limp off to heal, it's likely this happens on rare occasion. I'd suggest 1D healing/hour, or 1/combat round for "alien on steroids." ALIEN QUEEN: If you drop an alien queen in her UPP is F9F600; Melee (natural) 4, Recon 4, Tactics (small unit, alien) 2; Stealth 2. She deals 3D+Str Mod with claws (with AP 4) and her tail does 1D+STR (and AP 2). Her massive set of double-jaws can deal 3D+STR with AP 8 (they are powerful, but in Aliens they didn't appear to be as effective as, say, the xenomorph in A:C). She can attack nearby foes with these melee attacks. She's smart enough to grasp the basics of human technology, though not perhaps anything beyond the ability to predict immediate behavior, how to open and work doors and elevators, and maybe the general idea that someone has planted a bomb near the hive. Optional: if the queen ever gets a claw effect od 6+ on a humanoid target she automatically rips it in two pieces. NEOMORPHS: I'd stat these buggers out as UPP AD9400; Melee (natural) 2, Recon 2, Stealth 2. They have claw at 1D+STR Mod with AP 2 and a vicious bite at 2D+Str Mod with AP 2. 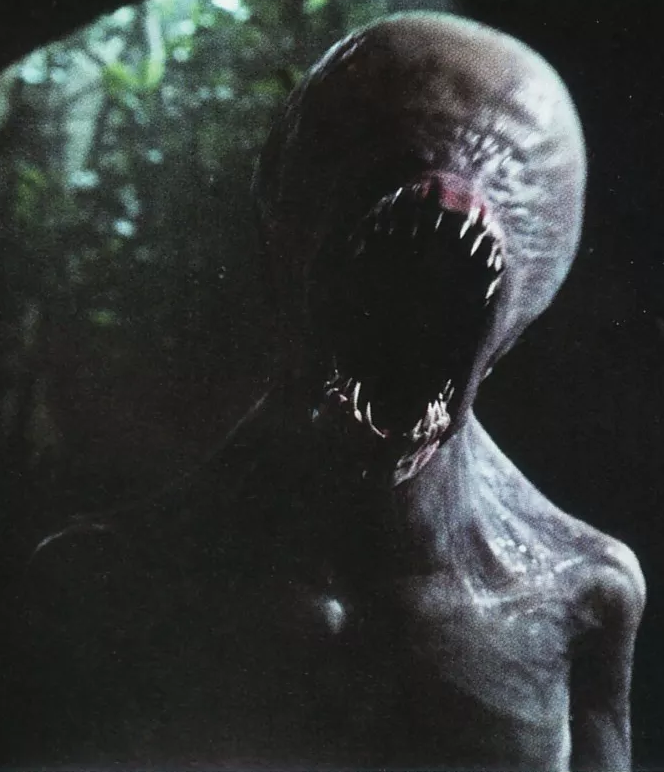 Unlike xenomorphs the neomorphs seem to have some sort of eerie ability to communicate, though demonstrated for exactly five seconds on screen before one is shot, and entirely unclear what the result of that communication could be. Neomorphs are made when a host steps on or irritates the tiny bulbous eggs which reside in obscured underbrush, releasing spores which cluster and bore into an available pathway into the host. The change seems to take up to 1D6 hours. A victim pretty much can make a DEX (8+) roll to avoid contamination if they are aware they have become exposed, but it's DEX (10+) if they are not. If the roll is failed then the victim is doomed to be killed as host to a neomorph. Newborn neomorphs are still tough (UPP 6D6300; half damage from attacks). FACEHUGGERS: The facehuggers are the requisite protoform that implants an alien "embryo" (a cancerous mass that steals from the target to form a new xenomorph) into a gripped host. They emerge from the alien eggs. Facehugger UPPs are AE5400; Melee (grip) 4; Stealth 4. They can spring attack a host from a laucnh point or an egg, gaining a 1D surprise advantage on initiative for the first round of combat. 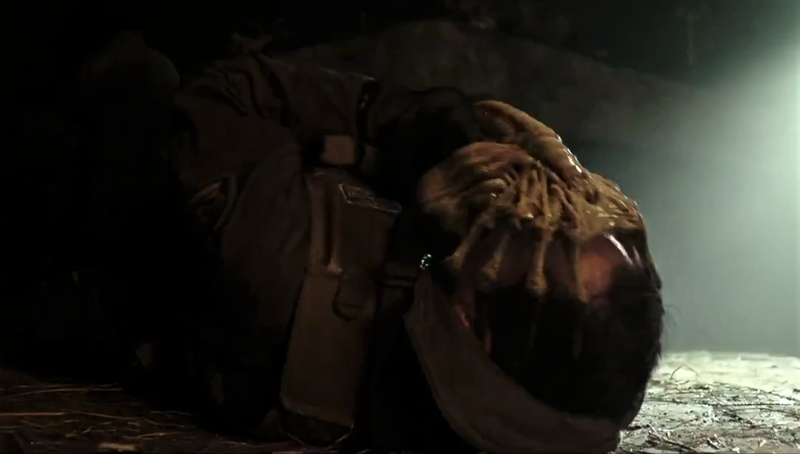 A Facehugger once gripping a target's face requires an extreme STR (14+) to pull free, but damaging it will reduce this to STR (10+) although it then bleeds acid exactly like it's larger brethren, though only targets at point blank range are at risk (DEX (10+) to avoid or take 1D6 acid damage for 1D6 rounds, adding effect for each round of damage). Facehuggers can voluntarily secrete acid to burn through masks and faceplates as well. CHESTBURSTERS: These are the frail forms of the alien xenomorph before it grows rapidly over about eight hours through an undocumented process. It can appear vestigial or like a fully-formed, tiny, gossamer-like version of the adult. In this form it is mostly harmless and seeks to escape to grow. It's UPP would be 7C5300; Stealth 4. It can still bite for 1D+STR Mod and bleeds acid like the facehugger rules. ENGINEERS: If you think there's a chance another living engineer might show up, they seem to be genetically enhanced humanoids with either an eerie compatibility with Terrans or a clear biological ancestry, possibly caused by their ancient genetic tampering (and social tampering evident in the similarities of their language to ancient proto-Sumerian dialects). Treat an engineer as a human of abnormally large size with a +2 STR, +2 CON and +2 INT, but they can pack a punch, dealing 2D+STR Mod damage with a wicked backhand. They regard all other humanoids (especially those they may have created) as inferior and react to them with potentially dangerous hostility. With what we know so far in the Aliens Universe, engineers had some sort of conflict two thousand years ago in which they almost destroyed Earth but instead destroyed their weapons' depots with the alien black goo pathogen. Engineers still exist (or did) right up to about ten years ago on at least one remote earthlike world, but these engineers seemed wofeully unequipped to deal with David; which may explain why the one from Prometheus tried to take him out quickly. THE PATHOGEN MUTATIONS: Only a few vials of this substance seem to be left. A viral and highly destructive pathogen, it appears to at minimum dis-incorporate it's host, turning the host into the raw material for new, hostile life. If it doesn't do that it creates parasites which invade the host and spawn new, even more hostile organisms, each stage mutating and relying on further hosts to create still more, newer breeds. It is as if someone weaponized evolution. Exposure to this substance is always lethal. Indirect exposure can lead to impregnation by mutated alien byproducts (such as the squid thing and the Deacon alien). It appears possible, with time, to manipulate and program the pathogen to generate specific results through bioengineering. If a PC is exposed, give them 2D6 hours before "detonation." Each hour the host takes 1 INT damage. When the host reaches 0 INT it goes feral and dangerous. Direct exposure leads to zombie-like mutants which gain +4 to STR, DEX and CON and deal 2D6+STR Mod damage with fists; they take double damage from fire. Many other mutation variants are possible. This film released in Europe already, so it's US release has been preceded by a round of reviews suggesting everything from "meh" to thorough excitement. The common factor seems to be whether or not you wanted to see an Alien movie in the first place....if the answer is yes, then Alien: Covenant does not disappoint. 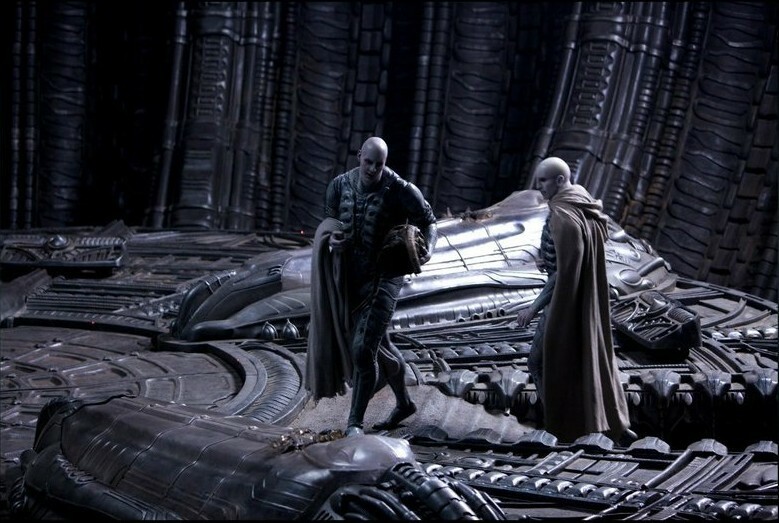 Scott's return to the Alien Universe post-Prometheus provides a direct sequel to the latter and a "still somewhat removed" prequel to the original Alien. This time around we're presented with a colony ship, the "Covenant," which hosts 2216 crew, one android, and 2,000 colonists in deep sleep. After an unexpected encounter with a stellar phenomenon the ship finds itself deep in unknown territory but still years from its destination world....and an unexpected message draws them to what appears to be (at first, naturally) a superior habitat to the world they had laid claim to. There are some odd scenarios at work initially. If one of your main gripes with Prometheus was "Why do people in space, on starships, with degreed professions seem to act so dumb at the wrong times?" then Covenant's crew isn't 100% going to hold your faith. In their defense they play the "We totally didn't expect this to go as it all did" card just fine.....and on rare occasion even demonstrate a propensity for foresight (such as sending down an investigative team with actual weapons). But then somebody panics at the wrong moment or decides that funny stomach ache is nothing to complain about initially and BAM next thing you know stuff is exploding and neomorphs are everywhere. Note that Call of Cthulhu fans will understand much of what goes on in this movie as basically being what happens when you fail a Sanity Check. But seriously....it was a fun ride. I can't even get in to the latter part the film to avoid spoilers, but when the proper xenomorph arises at last it is a surprisingly fun reveal for a monster which has been known in cinema for nearly forty years now. 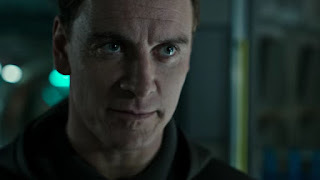 Of great note in this film is Fassbender's recurring role as David as well as the younger, newer model of android known as Walter. Any fan of Fassbender will be happy, but seeing him play these two roles makes the movie that much more interesting....and David, well....I'll talk more about David after the spoiler warning. Now, is this movie worth it to the non Alien fanatic? If you liked the original Alien films but disliked Prometheus is it worth it? I'm going to suggest it is probably something both the former and latter can enjoy if you are a general fan of horror and SF....and the latter especially might enjoy seeing tighter closure on the Prometheus plot offered here (albeit at the expense of a range of new mysteries). This film was a solid A, and only it's intermediary status as a sequel/prequel prevents it from attaining true glory. We all know how this movie had to end (more or less) and we all know where it was going to start (more or less). The two hours were just the ride from A to B.
UPDATE: After the second view I am bumping this to an A+. I just loved this movie even more the second time. So many interesting details. From a Traveller gamer perspective, this is what happens when a bunch of PCs with poor career life decisions end up cold berth traveling to a new colony world when Very Bad Stuff happens along the way. Brilliant movie in capturing the "doomed colony ship" genre that is a part of SF fiction and gaming but not seen so gruesomely well done in film (see Pandorum and possibly Event Horizon for the next best examples). Now, for some SPOILER WARNINGS! First, Alien: Covenant deserves kudos for giving the franchise it's first true recurring villain that isn't an alien and isn't a variant on the Peter Weyland theme. Fassbender's David is truly evil...or inimical, maybe....and his role in this and future movies is utterly fascinating to watch unfold. Second, way for Ridley Scott to not only provide a stand-alone movie, but one which really wrap up key elements of the Prometheus film even as it clearly sets us up for something much worse to come. The way this movie leaves things.....Hooooo boy, I really hope it does well for him to carve out the next sequel or two he was suggesting could be done. 1. So this was either an active Engineer planet or colony only a decade before Covenent stopped by. At the end of Prometheus Shaw and David are possibly heading off to find the engineer homeworld.....if this was it, it leads to more interesting questions about what happened to the engineers over the last two thousand years (though the possibility that their own bioengineered pathogen has something to do with it seems likely). 2. There's going to be a film novelisation and a prequel novelisation. Having seen the film now, I can't help but wonder how the prequel novel will be anything more than a protracted snuff film on paper because...well...you'll see. 4. About my only disappointment in the movie was Walter's confrontation with David, when it became clear David has replaced himself with Walter. I kept trying to spot the hole that should have been in his lower jaw but did not see it.....convenient I suppose or perhaps suggestive that a piercing wound like that on an android was easily sealed? Hard to say. Here are two fridge logic moments I am still mulling over: #1 is where did the first eggs come from, and #2 is exactly how did David engineer those facehugger embryos. 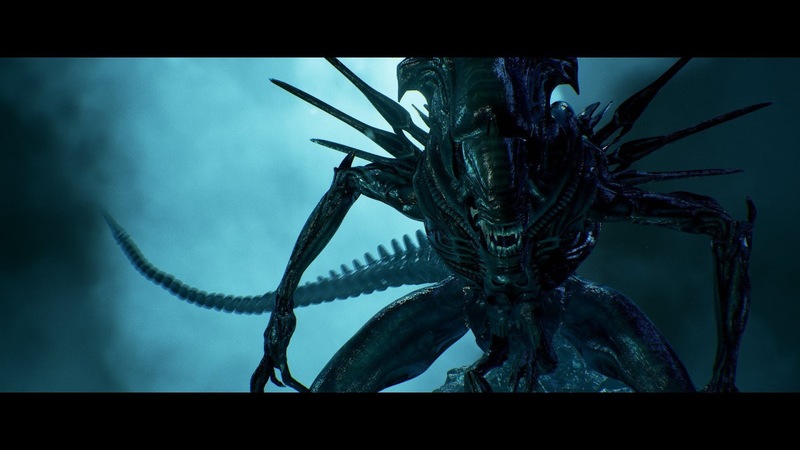 It strongly implies that the "queen alien" is not the only way the xenomorphs can create eggs and breed. 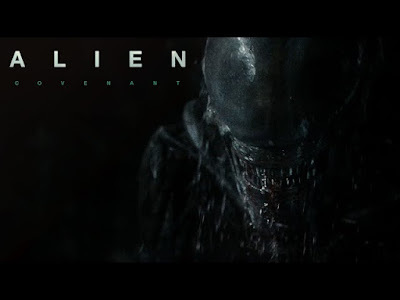 Alternatively, it could mean that the xenomorphs in this film, while similar, are not exactly the same as the ones found on the Space Jockey's ship in Alien. In contrast to The Orville, which is a comedy spoof on Star Trek (and extremely recognizable as such), we also have Star Trek: Discovery, which I know is intended to serve as a series taking place ten years before the original series, but....dang it feels like a real reboot more than anything. The only really recognizable creatures are the Vulcans. Almost everything else appears designed to give Star Trek a facelift that makes the JJ Abrams movies look positively frugal by comparison. I mean.....those Klingons.....very interesting. I guess the question becomes: are these Klingons some other subspecies, some offshoot, or the new official look? Trek does like to do this to Klingons every few series, but the newest look is about as out there as you can get and still call them Klingons. It makes me want to drag out Starships and Spacemen, and every time someone rolls for weird alien headbumps (regardless of roll) tell them they are Klingons! Many are the ancient races of Enzada, and among them are some very long-lived beastkin, such as the ratkin, the egleppi and other humanoids that bear as much in common with beasts as man. These different races and their cultures have a variety of unusual gods. The duwende dwarves sought refuge under the earth five thousand years ago to escape the terrible reign of the ancient Inhuridan Empire. In their long journey into the winding byways of the deep underworld beneath the Hub of Etyri, the dwarves encountered many ancient chthonic beings that were at once threatening and benign. 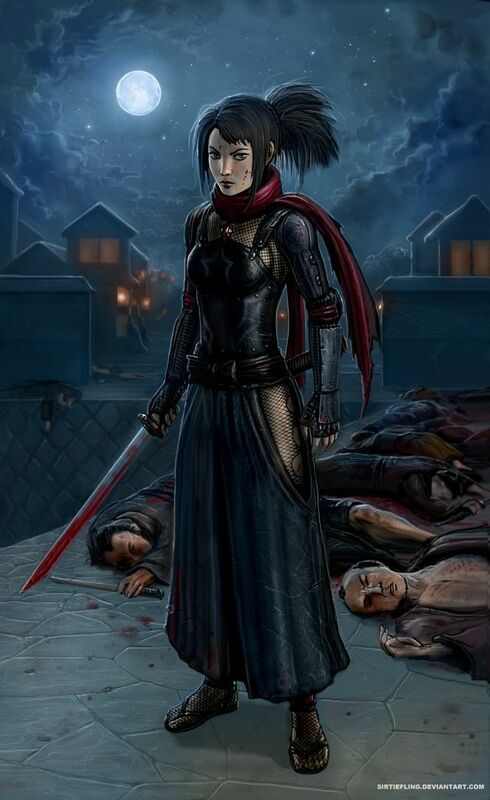 One such being was Hanar the Bloody, who is said to have been a great wyrm that took on dwarven form and rules the dwarves for a time as a bloody emperor. To this day, though no one knows what happened to Hanar those thousands of years ago, his memory is carried on by dedicated warrior cults who revere the Lord of Slaughter, practicing the dwarven art of berserkergang in his name. The stories around Gold'gotha’s manifestation as as many and varied as there are ratkin to tell them. The best that has been pieced together is that Gold'gotha is a great device or machine, or perhaps a massive heap of sentient rubble located deep in the caverns beneath the city of Uralhat (though some say it is far away, or in the In-Between, so who knows) that speaks prophetic declarations to its followers. The most popular story is that Gold'gotha fell from the sky and imbedded itself deep in the earth, where it has cared for the ratkin who protected it in those early days ever since. Some even claim it granted sentience to the ratkin, making them what they are today (and all of civilization thanks Gold'gotha for that). This mysterious non-human deity is regarded as the batrachians creator god for egleppi and other amphibious beings. His cults are a mystery to most everyone, and their purposes obscure. The lizard men of Selindar worship this deity, claiming it is their creator god, a being from beyond the stars that seeded the land with their kind when the earth was young. They do not attempt to reconcile this belief with the parallel myth of Pytharos, of the Dasamite pantheon, though some lizard men in that region claim Pytharos was the first immortal demiurge of their kind, created as a son by Shadan Hatail. 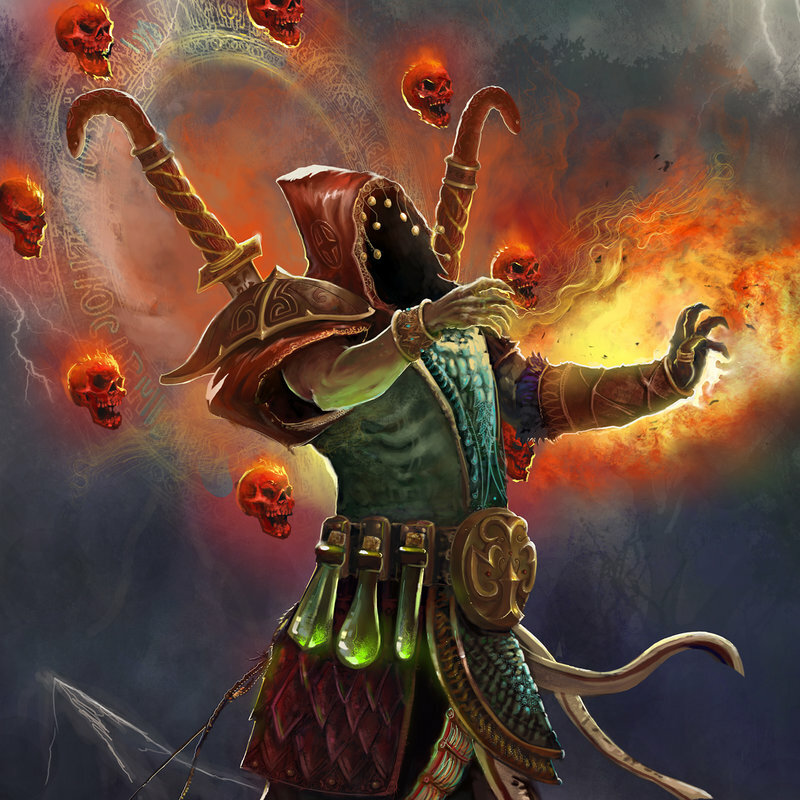 The chief deity of the ophidians is the god Azan Serak, an ancient deity that they claim was the father of Drod the star God. The ophidian cults feel that Azan Serak forged the very substance of time and space as an experiment, and from this weave of the cosmos he sent forth his spawn, of which Drod was but one, to tunnel through it to see what his creations had wrought. They feel that all life on Enzada evolved naturally as a course of the cosmic weaving, and that Pytharos was simply the greatest of an ancient legacy of their kind, who created humanity and their ilk in a clever alchemical experiment. The New Star Trek Series Looks Amazing!